Well it’s been a few weeks since I’ve put any time into gaming. I decided to sit out the initial rush of Heart of Thorns and wait a few days before checking it out. I only have 2 level 80 chars so I won’t be heading over there too soon. I’d like to catch up on the story a bit first! I wound up purchasing the fancy HoT pack and put some of the 4000 gems I received towards cultural armor. So when Glyneth reached level 80 I bought the Wolfborn armor for her. I think it looks nice although of course it is totally impractical fantasy armor. But what the heck.I also traded in some karma for a Wolfborn Longbow, to complete my ensemble. With all that, I decided to peck away at a few story missions… I am very far behind, back in Season 1. I figure if I just beeline the story missions in order to catch up and be ready for Heart of Thorns, that will be good enough. That’s my plan and I’ll see how it goes. 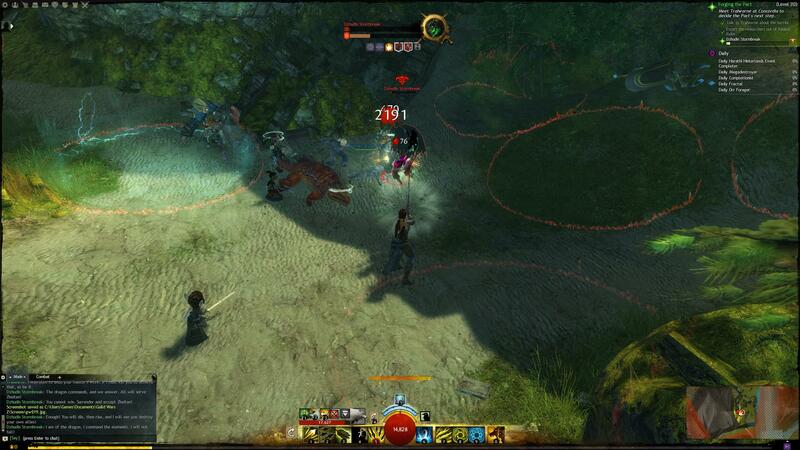 It is fun to peck along and that’s why I resumed MMOs with Guild Wars 2 – it is amenable to bite-sized chunks of playtime. I had a few dozen hero points left over from previous leveling, so I slotted and trained a few skills in the Druid elite spec. I’ve been getting into playing healers lately so this is a great development that one of my 2 max level chars is a Ranger. 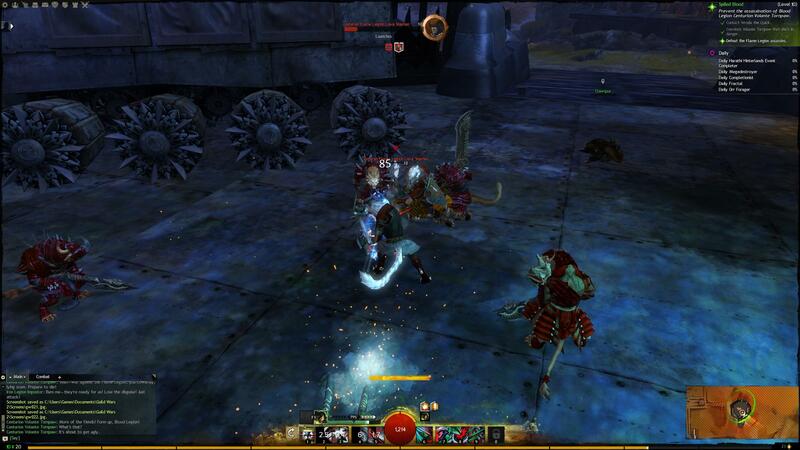 Over on the “new class” side of things, I created a Charr Revenant, so see how that class plays. I had a scroll of xp, the ones that bump a char to level 20, so I used that on Eve, my Revenant, and starting working the storyline there as well, after a bit of exploration and fiddling around with skills. So far so good, but I think I might spend what extra time I have for GW2 leveling my Guardian or Mesmer, where my Ranger (Druid) gets first priority.